Home / Windows 10 / What is SuperFetch Service on Windows 10 and Should You Disable It? 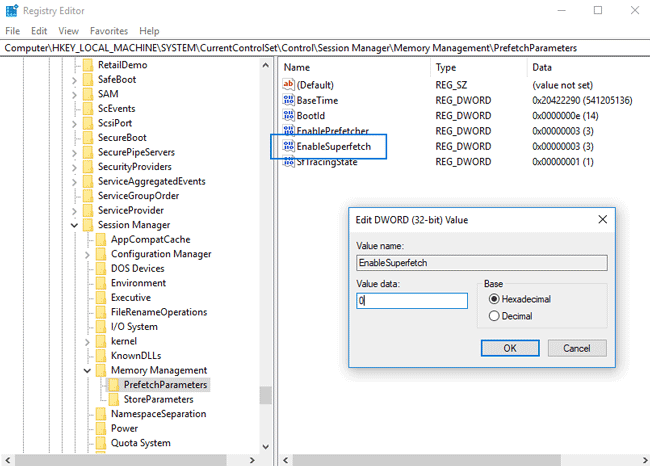 Today we will take a closer look on what’s the purposes of SuperFetch service on Windows 10 and what to do if this system component causing high CPU load. For the first time the SuperFetch service appeared in Windows Vista. There’s a lack of details about the service, but according to Microsoft short description it maintains and improves the system performance. SuperFetch works in the background and analyze memory usage patterns to identify and mark frequently used applications. After that SuperFetch can improve the performance by pre-loading parts of frequently used applications into memory (due to this, apps should load in a faster way). By default, SuperFetch uses all free memory of the machine when pre-loading apps. But as soon as the system will need more memory, the SuperFetch will free up the needed RAM. Tip. Due to the very fast access time on SSD devices, it is not necessary to keep SuperFetch enabled on computers which are using Solid State Drive technology. 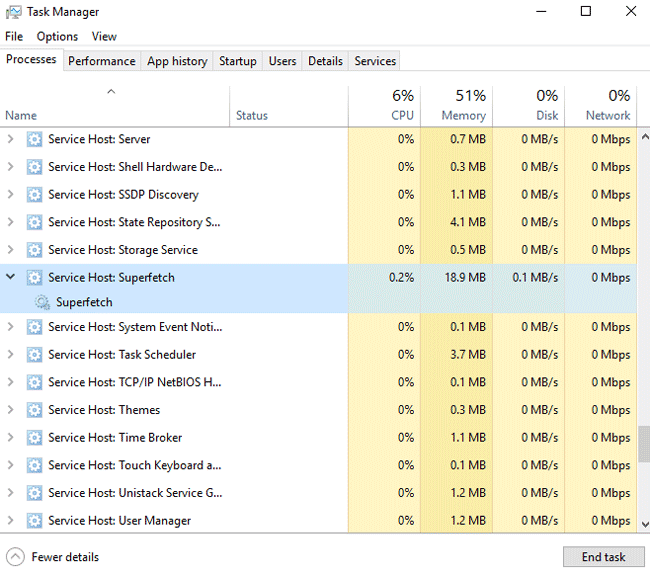 What to Do When SuperFetch Causing High Disk Usage on Windows 10? On most of the modern computers the SuperFetch service won’t make any problems: in most of the cases the user won’t even notice that it’s running. Most likely, this service is being run on your machine just right now too! SuperFetch can cause overall decrease of the machine’s performance when gaming (most often this is happening on 4 GB RAM computers). Should You Disable the SuperFetch on Windows 10? In case your computer functioning correctly and you are not noticing any high CPU load problem – then you don’t need to disable SuperFetch (be sure that you won’t notice any PC performance changes). We recommend you to disable system components only in case of the real need (if you are facing some issues, errors, etc.). If the solution below won’t help – don’t forget to enable the process again. How to Disable SuperFetch Service? 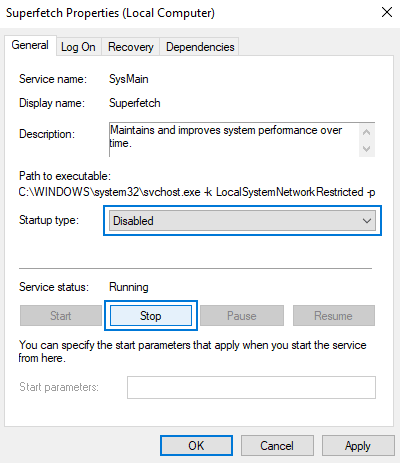 You can disable SuperFetch service using few methods, let’s discuss them below. Important! In order to perform these instructions, you will need an account with administrative privileges. How to Disable SuperFetch Using Regedit? After disabling the service, reboot your computer and check if the problem with SuperFetch and high disk or CPU usage still persists.